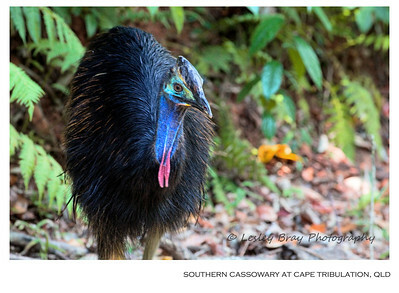 14 images - Southern Cassowary, Emu & Ostrich. 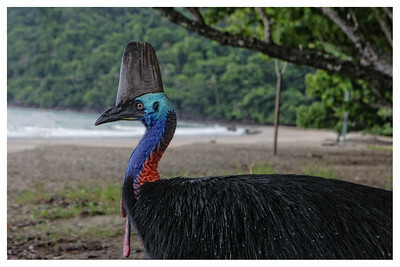 Female Southern Cassowary, Casuarius casuarius, on the beach at Etty Bay near Innisfail, Queensland, Australia. Photographed April 2017 - © 2017 Lesley Bray Photography - All Rights Reserved. Do not remove my signature from this image. Sharing only with credit please. 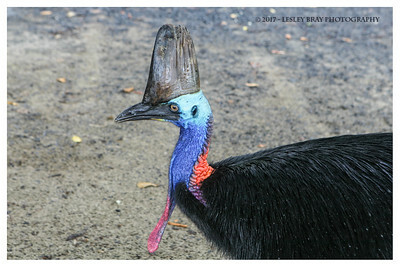 Male Southern Cassowary, Casuarius casuarius, strolling on Cape Tribulation Road, Daintree, Queensland, Australia. Photographed October 2013 - © 2013 Lesley Bray Photography - All Rights Reserved. Do not remove my signature from this image. Sharing only with credit please. 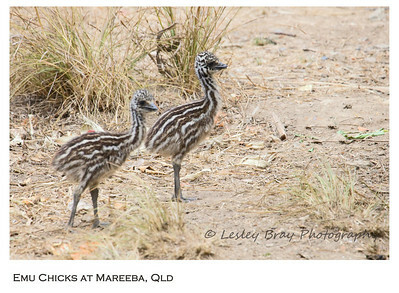 Emu chicks, Dromaius novaehollandiae, at Mareeba Wetlands, Atherton Tableland, Queensland, Australia. Photographed September 2017 - © 2017 Lesley Bray Photography - All Rights Reserved. Do not remove my signature from this image. Sharing only with credit please. 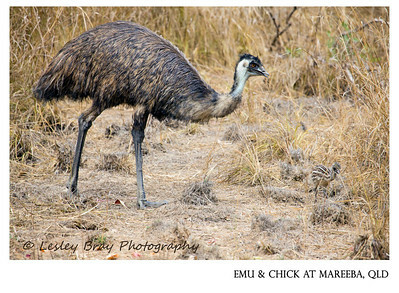 Male Emu with chick, Dromaius novaehollandiae, at Mareeba Wetlands, Atherton Tableland, Queensland, Australia. 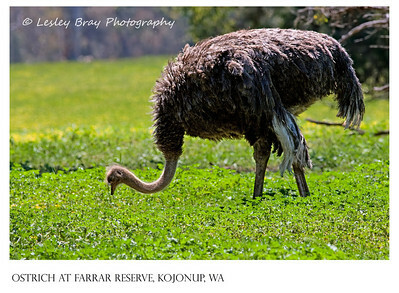 On the basis that male emus tend to their young, I am assuming this is a male bird. Photographed October 2013 - © 2013 Lesley Bray Photography - All Rights Reserved. Do not remove my signature from this image. Sharing only with credit please. 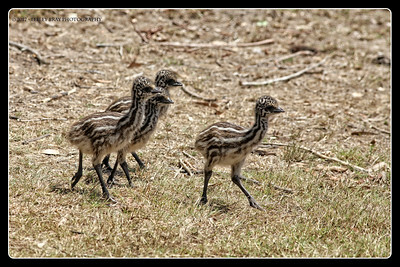 Emu chicks, Dromaius novaehollandiae, at Mareeba Wetlands, Atherton Tableland, Queensland, Australia. Photographed October 2013 - © 2013 Lesley Bray Photography - All Rights Reserved. Do not remove my signature from this image. Sharing only with credit please. 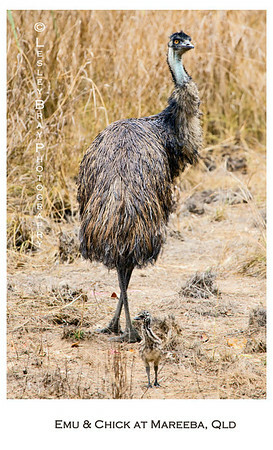 Male Emu with chick, Dromaius novaehollandiae, at Mareeba Wetlands, Atherton Tableland, Queensland, Australia. Photographed October 2013 - © 2013 Lesley Bray Photography - All Rights Reserved. Do not remove my signature from this image. Sharing only with credit please. 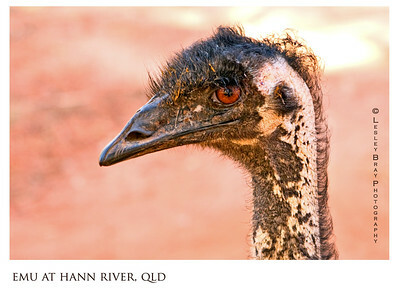 Emu portrait, Dromaius novaehollandiae, at Hann River Roadhouse, Cape York, Queensland, Australia. Photographed June 2010 - © 2010 Lesley Bray Photography - All Rights Reserved. Do not remove my signature from this image. Sharing only with credit please. Here's looking at you kid ! 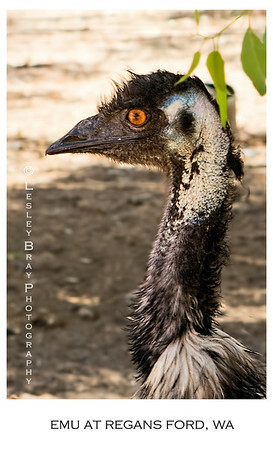 Emu portrait, Dromaius novaehollandiae, at Hann River Roadhouse, Cape York, Queensland, Australia. Photographed June 2010 - © 2010 Lesley Bray Photography - All Rights Reserved. Do not remove my signature from this image. Sharing only with credit please. 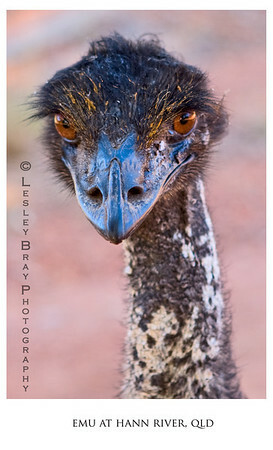 Handsome Emu, Dromaius novaehollandiae, at Regans Ford, Western Australia. 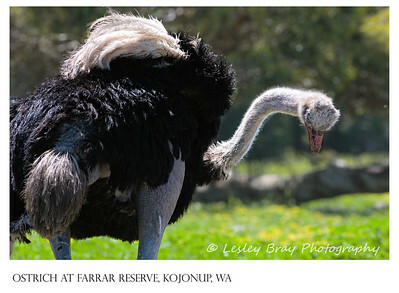 The Emu's in Western Australia appear to have a different coat to those in the eastern states. Photographed January 2012 - © 2012 Lesley Bray Photography - All Rights Reserved. Do not remove my signature from this image. Sharing only with credit please. 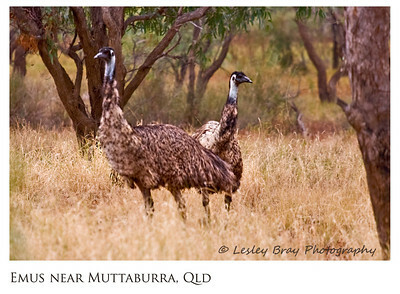 Emus, Dromaius novaehollandiae, in the bush between Longreach and Muttaburra, Queensland, Australia. Photographed May 2010 - © 2010 Lesley Bray Photography - All Rights Reserved. Do not remove my signature from this image. Sharing only with credit please. Male Ostrich, Struthio camelus, on Kojonup Emu & Ostrich Farm near Farrar Nature Reserve at Kojonup, Western Australia. Photographed October 2011 - © 2011 Lesley Bray Photography - All Rights Reserved. Do not remove my signature from this image. Sharing only with credit please. Female Ostrich, Struthio camelus, on Kojonup Emu & Ostrich Farm near Farrar Nature Reserve at Kojonup, Western Australia. Photographed October 2011 - © 2011 Lesley Bray Photography - All Rights Reserved. Do not remove my signature from this image. Sharing only with credit please. 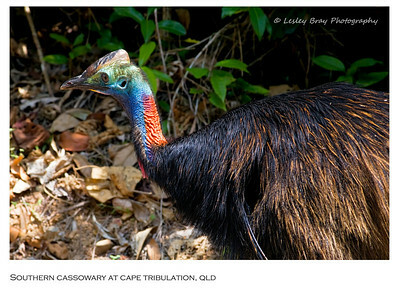 Emu portrait, Dromaius novaehollandiae, at Hann River Roadhouse, Cape York, Queensland, Australia. Photographed June 2010 - © 2010 Lesley Bray Photography - All Rights Reserved.